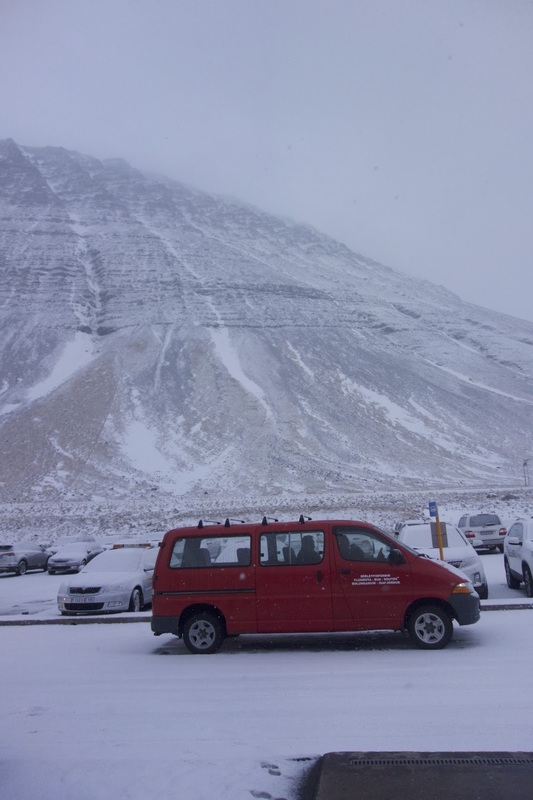 Getting to Isafjordur in the winter is an adventure in and of itself. What is a popular tourist destination by ship and by car in the summer becomes inaccessible by both modes in the winter. The roads are often to treacherous to pass and the boats stay docked until spring. Therefore, our only way was by plane. 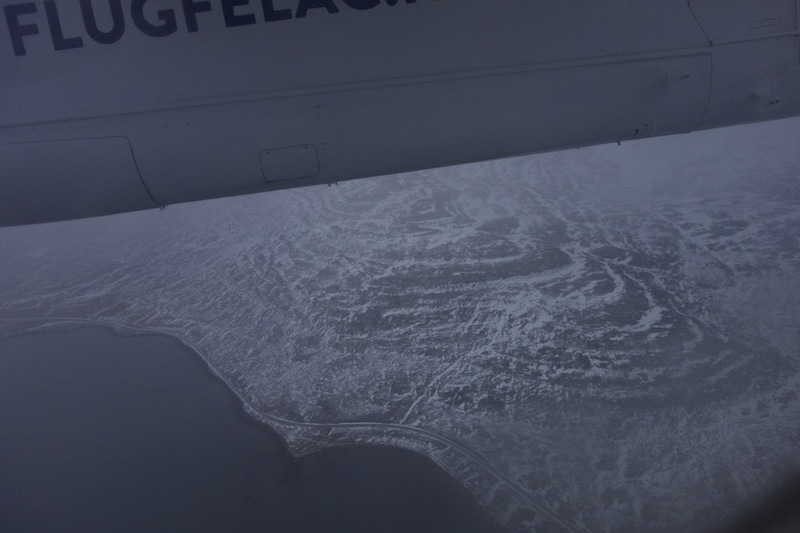 Flying domestically in Iceland is risky business. Not because of accidents, but because of delays and cancellations. Weather is very unpredictable and the strong winds and sudden storms make flying uncomfortable and turbulence frequent and severe. 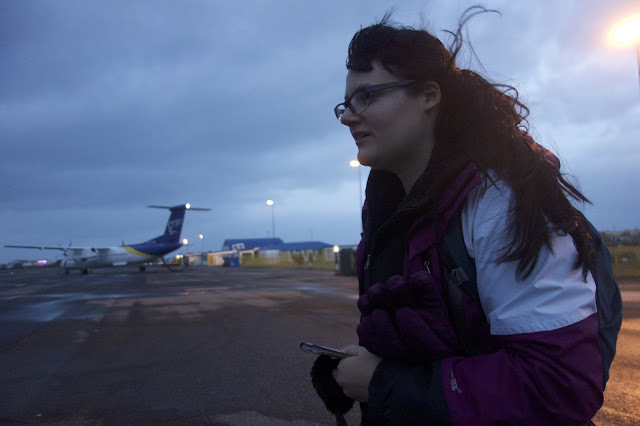 I knew all this before I booked a one-day trip to Isafjodur via plane. But I learned the hard way. We awoke before dawn to board our flight. “Before dawn” meant 9:00am because Reykvakik darkness in the winter extends to practically 11:00am. 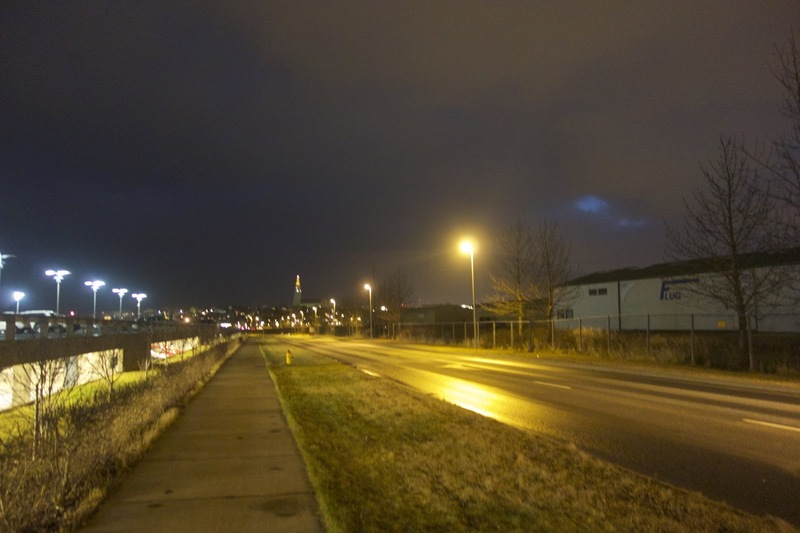 We were lucky enough to be staying near the city center, so instead of taking a taxi or bus to Reykjavik Airport, we walked 30 minutes. It is a small airport and the walk is easy, with sidewalks all the way and only one terminal with one entrance and one gate. We hung out by baggage claim while we waited to board. We really didn’t need to show up until 30 minutes before flying, but our American instincts made us arrive an hour early. 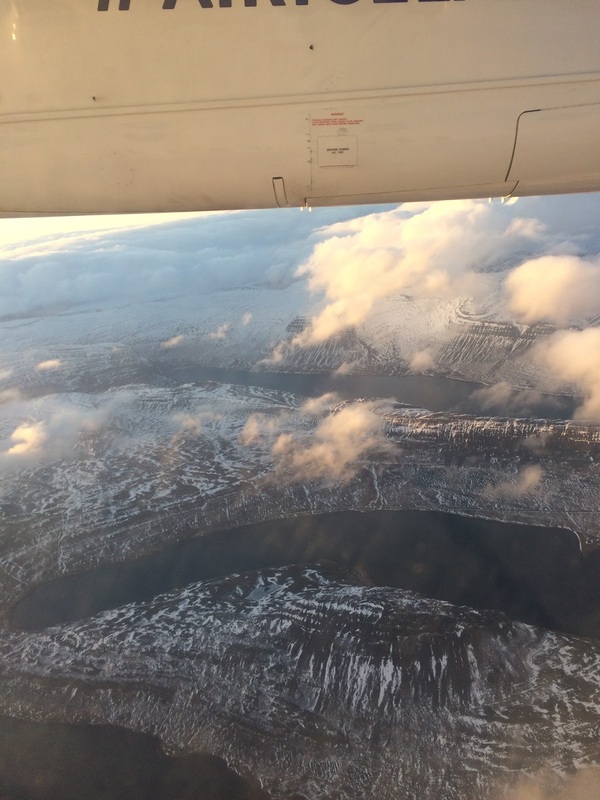 The flight to Isafjordur was pretty smooth until we went in for our descent. That’s when the bumps and shakes started and they only became more extreme as we approached the ground. I looked out the window and saw a menacing snow storm brewing. Suddenly I felt the plane begin rapid ascent back into the air. 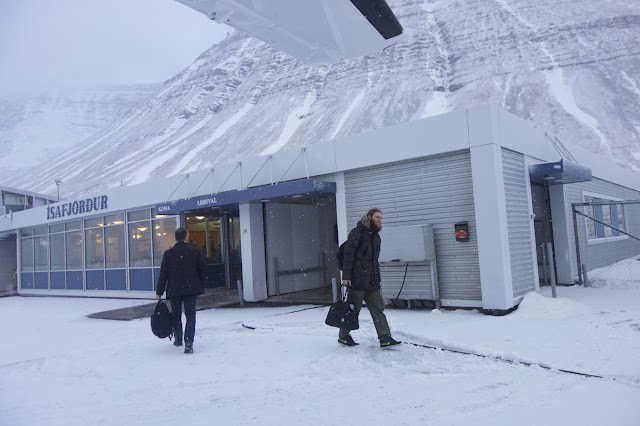 When we were back in stable air the pilot announced that a sudden snow storm had overtaken the town, and the strong winds were preventing us from landing safely, so we had to hold in the air and wait for the storm to pass. As the plane dangled in the air like an ornament on a Christmas tree, I felt the storm shake us from below. We were wobbling us and down for what felt like an eternity. Then with warning, the plane rushed down to the ground, and with a few big final shakes, landed smoothly on the runway of Isafjordur airport. I had emailed the tourist bureau before our trip and they informed me that the only way to the town was by a red shuttle. The shuttle service was one man who made his living from taking tourists and local to and from the airport on the one flight a day. The bureau also informed me that is was cash-only. 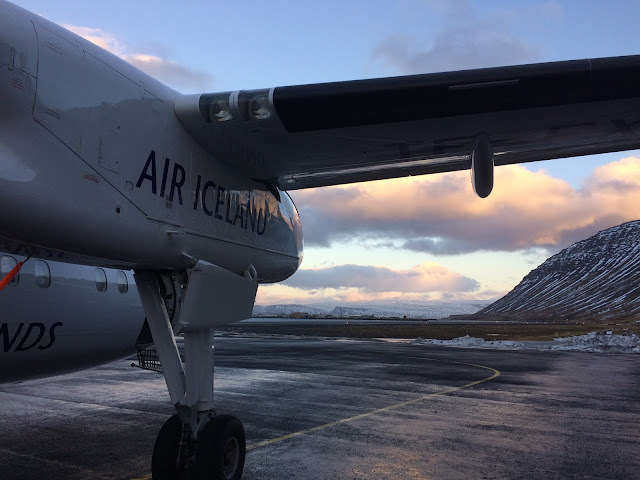 This is very unusual for Iceland, because everywhere is Reykjavik takes credit cards, so it is almost completely unnecessary to every handle cash in the country…except when you take the red shuttle from Isafjordur airport. So we came prepared with cash is small bills, which the guy greatly appreciated, and no other tourist seemed to know the protocol. It really doesn’t matter where he drops you off in town, because you can talk across the whole place in 20 minutes. First our flight back was delayed two hours for unknown reasons. We passed time by hanging out in a local restaurant and heading to Isafjordur’s amazing library. Then at the library I checked again and found that our flight was canceled and that we would be rebooked on a flight leaving the next day. 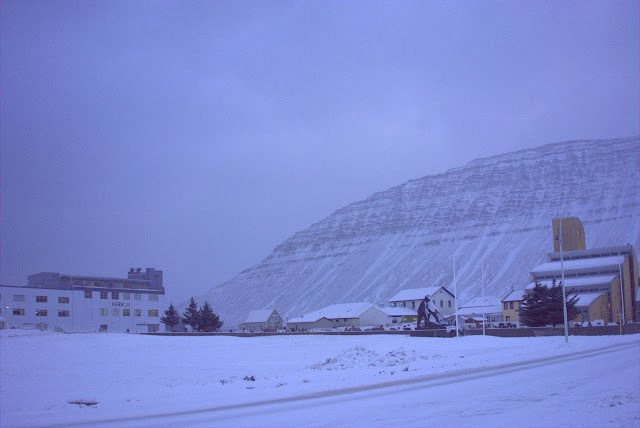 This was really annoying as we had to spend another night in Isafjordur which was not planned or budgeted. Then on the morning of the second day, our flight was delayed by an hour again. This was a bad sign, as yesterday’s delay was what lead to the cancellation of our flight, so I was worried about yet another delay, but thankfully we took off only an hour an a half later than expected. At the airport we watched the incoming plane land, and could feel how strong the wind was that afternoon. 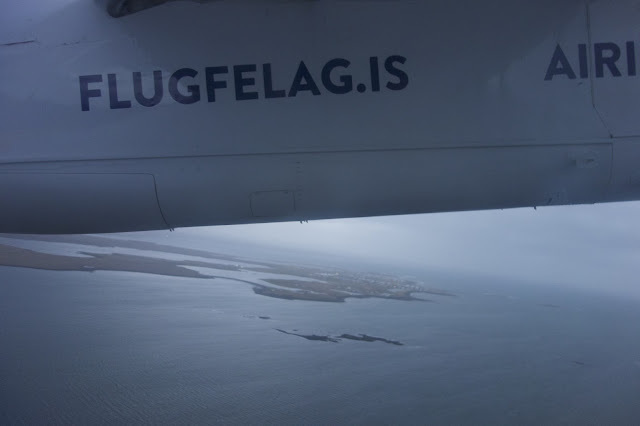 The pilot warned us of a rocky ascent and a turbulent ride back to Reykjavik, but at that point, I was just glad to be on the plane.